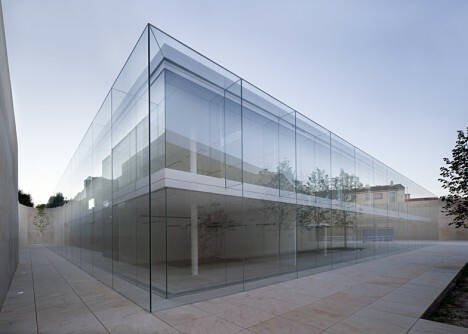 Spotlighting the reflective, shimmering and transparent qualities of glass, architecture primarily made up of glazed volumes interacts with its environment in ways that opaque structures simply can’t, whether they’re overlooking the ocean or in the middle of a busy urban square. Their sense of vulnerability is tempered by this feeling of connection, containing their inhabitants without cutting them off from the world. 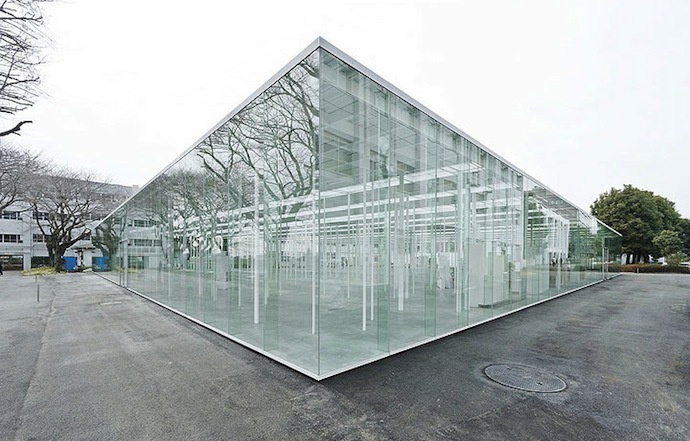 “I wanted to create a building where it isn’t clear if there are any rules at all,” says architect Junya Ishigami of the disorienting Kanazawa Institute of Technology, comprised of little more than 305 steel columns and a whole lot of glass. 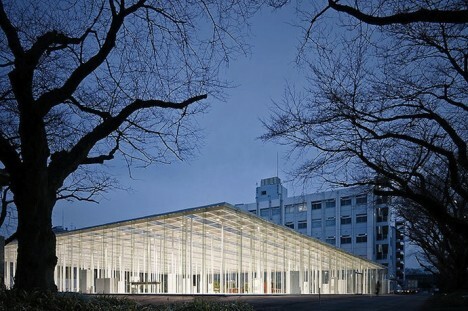 The structure reflects the trees at its perimeter, seeming to multiply them, making it feel more like a forest itself than a college classroom. 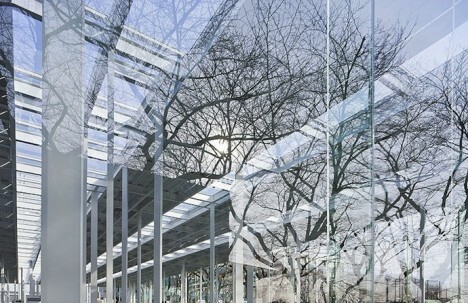 Inside, the steel beams mimic tree trunks. 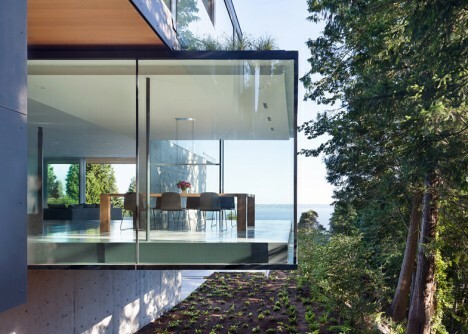 Stacks of glazed boxes jut out from a Vancouver hillside in this modern residence by Splyce Design, stretching out toward the ocean. 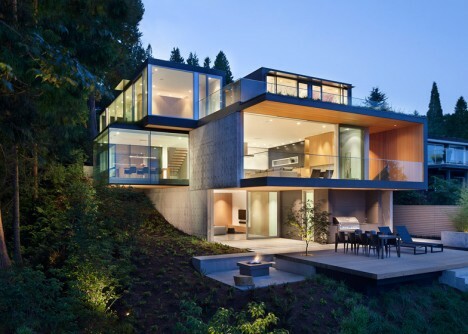 Some rooms even cantilever from the sides of the house, maximizing the number of interior spaces with an impressive view. 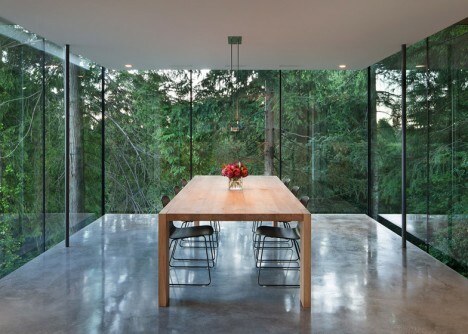 All of that frameless glazing helps the home blend in with its surrounding forest environment. How do you make a structure feel simultaneously open and vulnerable, and as secure as a fortress? 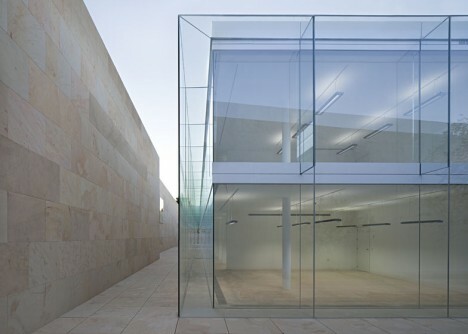 Build a glass box inside a stone enclosure. 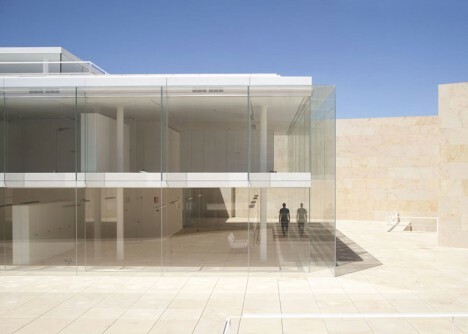 Alberto Campo Baeza’s offices for Junta de Castilla y León utilizes sandstone to disguise the very modern building in its historic environment, the walled city of Zamora, Spain. 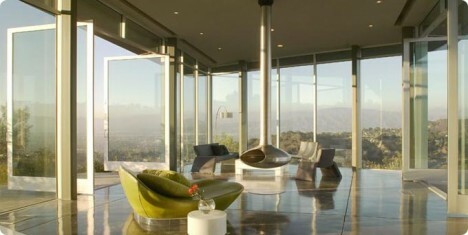 The perimeter walls provide privacy, while the glazed box within soaks up sunlight. The incredible Skyline Residence in Hollywood by Belzberg Architects has its very own drive-in theater on the side of a geometric glazed volume. 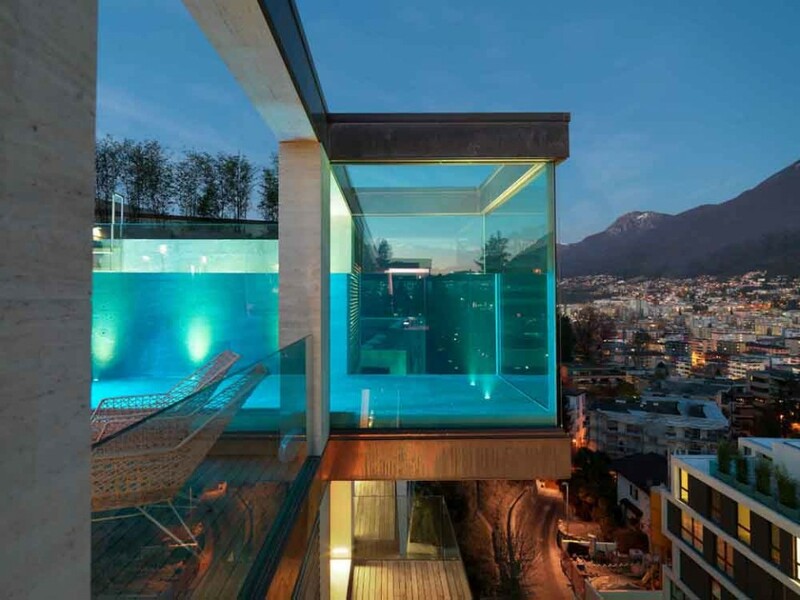 The entirety of the glass facade opens to the sky on the bottom floor, leading out to a 65-foot hillside infinity pool.